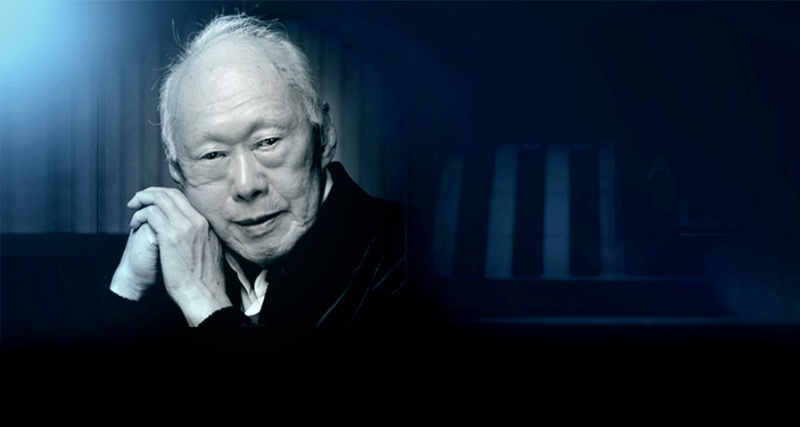 Amid the torrential rains that fell across the entire island of Singapore today, emotional cries and cheers for the late former Prime Minister Lee Kuan Yew echoed from the crowds lining along the streets in the central business district of Singapore. The casket carried on a ceremonial Artillery Gun Carriage maneuvered through the roads surrounded by some of the most significant buildings and structures that epitomizes Singapore’s tremendous growth over the past 50 years since her independence. Unfortunately, I was not at the scene to witness this historic event. I was not in Singapore, well in fact, I have not been living in Singapore for the past seven years, except for annual trips back to visit my family and friends. I was sitting in my little room in Tokyo, watching the live broadcast of the State Funeral Procession on my computer. I felt my heartstrings tugged when the familiar scenes of my home country appeared on the screen, and as the commentator explained the history and significance of each landmark, I am filled with a mixture of nostalgia and remorse. Nostalgia, because of the familiarity of the sights; remorse, because I realized there is still so much I don’t know about my country. Every time the commentator describes the history of a certain building, I am astounded and embarrassed when it dawned upon me that I never knew about it. Well, perhaps it is the same for many Singaporeans. How much do we actually know about our own country? 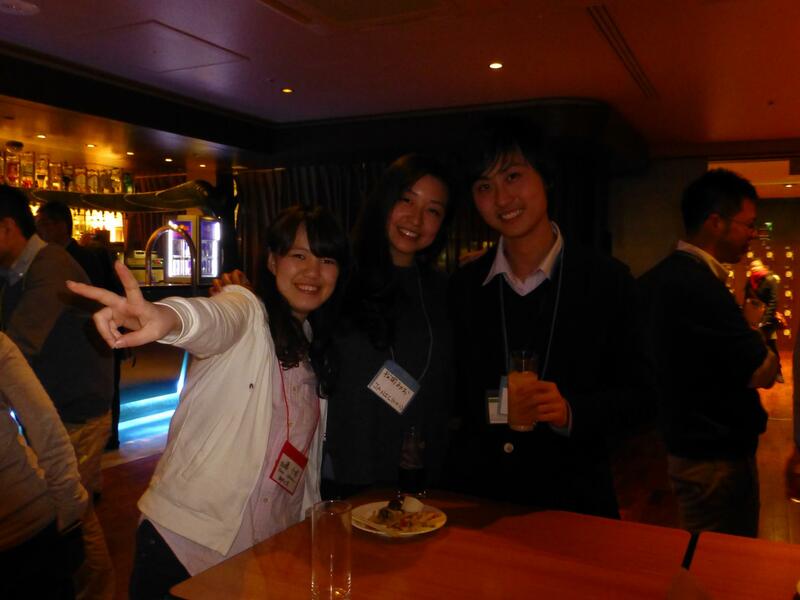 For me, I must admit that I learnt a great deal about Singapore, only after coming to Japan seven years ago. Prior to coming to Japan, I was not quite a patriotic citizen. I loved my country for sure, but I am neither the type who derive pleasure from memorizing the details of Singapore history, nor the type who would happily die for the country. 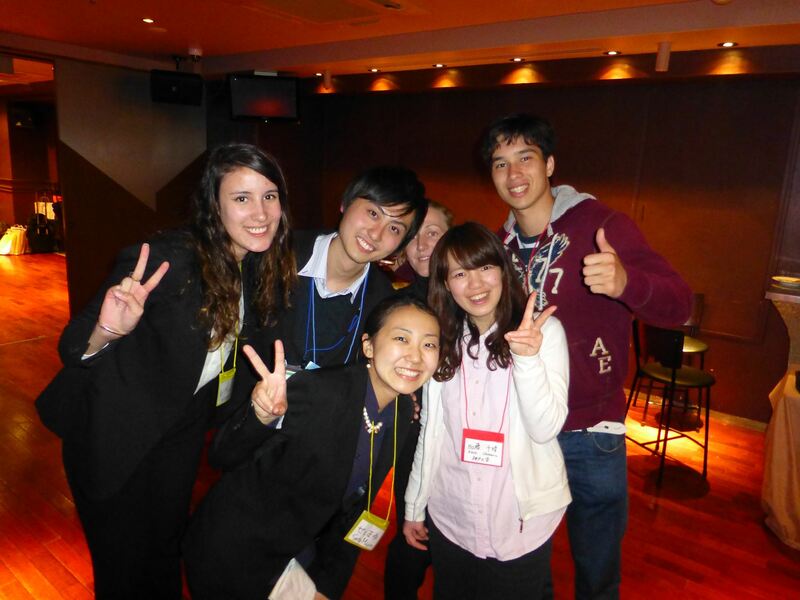 When I first came to Japan, my Japanese and non-Japanese friends would relentlessly ask me about my country. About our political system, our food culture, our history, our tradition, or even simple questions about tourist spots to visit. Having not quite familiarized myself with my own country, I struggled to answer these questions. Furthermore, thanks to my ability to speak Japanese, I was extremely honoured to be go onto Japanese variety shows, representing Singapore, to talk about a wide range of topics. The TV producers would carry out simple questionnaires before the recording to gather basic information and perhaps see how much I could provide. Being bombarded with questions about Singapore for several years, I have accumulated a wealth of knowledge about various aspects of Singapore. Of course, I am still not a guru about Singapore, not even close to it. I still cannot grasp properly the political parties and names of the MPs, nor can I recite to you the history of Singapore, but I have to say, I have ironically learnt a great deal about my own country ever since coming to Japan. But I can now tell you the meanings and histories of Singapore food, the backgrounds of our multi-cultural society, the little hints of our multiculturalism hidden in the daily life and on the streets in Singapore, how Singapore has changed from 10 years ago, and so on. During my first few years in Japan, I had an identity crisis. Naturally or not I don’t know, but my English accent changed and my way of thinking evolved. Without having a strong sense of identity then, I had to juggle between patriotism for Singapore and my adore for Japan. I was afraid I would be called a quitter, having left the country for so long. Will Singaporeans despise me, or disregard me as a Singaporean? What should I do to make it up? Is it wrong of me to leave the country? How can I contribute to the country from outside? These questions flooded my mind for some time, but slowly the clouds faded and the answer was clear: I don’t have to worry too much about it. I just need to do what I love, what I think is right and good for the society. If I manage to accomplish something great some day, I know that I have done my country proud. My identity as a Singaporean will not change, as long as I don’t change it. 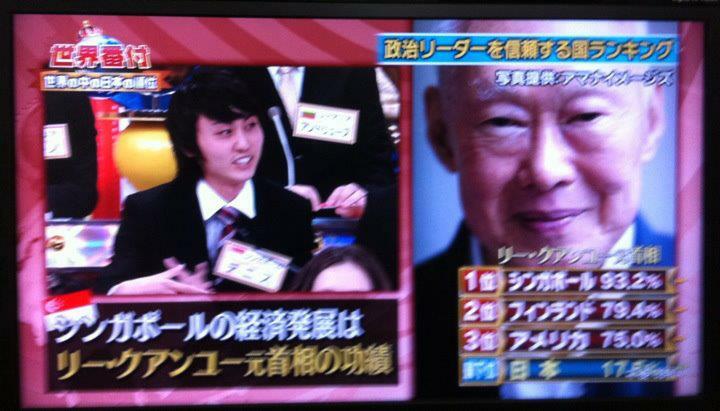 I am proud to have been able to represent Singapore on Japanese variety shows, though it was but a few lines. 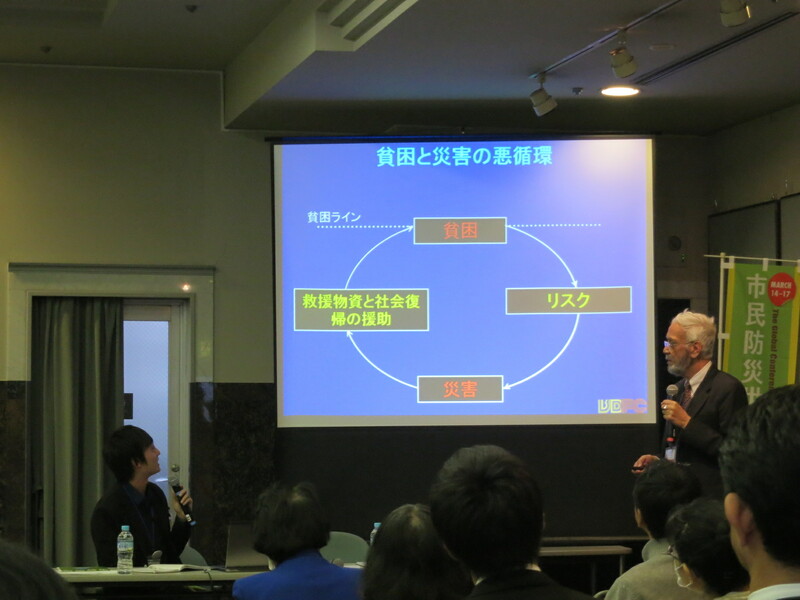 I am proud to have been able to talk about Singapore at various seminars for Japanese to learn more about the country, its history and culture. I am proud to be working part time in a Singapore restaurant (and have been doing so for close to 3 years), explaining to customers about the sophistication and beauty of my country’s cuisines, watch them devour plates of chicken rice, bowls of laksa and many pieces of roti prata, and reveal a smile of satisfaction after the meal, telling me how great it was. I know I’m still Singaporean, no matter what my background is, because I could feel tears welling up in my eyes when I watched the State Funeral Procession this afternoon, when I recited the pledge and sang the national anthem. 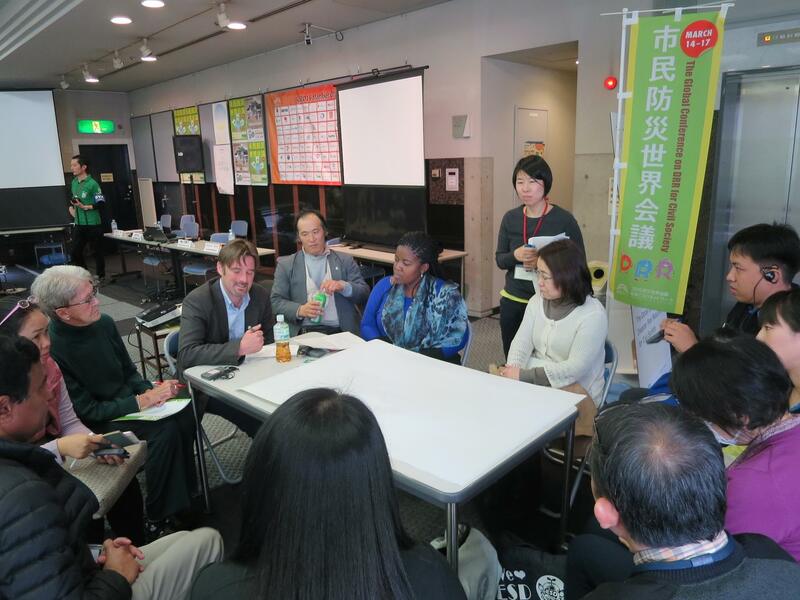 The Hyogo Framework for Action set in 2005 has been replaced by the latest Sendai Framework for Disaster Risk Reduction (DRR) that was discussed rigorously over the past 5 days in Sendai. I had the honour to be part of this huge project (including the Global Conference on DRR for Civil Society), as an intern with NGO Peace Boat. Over the past 5 days, I have had some of the most memorable experiences in my life, meeting and talking with people from all over the world, and all walks of life. Let me share some of the things I learnt. 1. What I Learnt from Saidur Rahman from Bangladesh ( バングラデシュのサイドゥル・ラーマンさんから学んだこと) My home country, Singapore, has more than 80,000 Bangladeshi living and working as foreign workers. Unfortunately, I must admit that most Singaporeans do not have a very positive image of Bangladesh, partly due to the fact that most of these Bangladeshi working in Singapore work at construction sites, which is non visible to the society, and has a rather negative image of being dirty and dangerous. 私の母国であるシンガポールには、8万人以上のバングラデシュが住んでいる。しかし残念ながら、そのほとんどが工事現場で働いている労働者のせいか、シンガポール人が持つバングラデシュに対するイメージはさほどよくない。いや、むしろ無関心かもしれない。 However, Saidur Rahman, an expert in disaster risk reduction in Bangladesh, who also happens to be a representative of the Bangladesh government in this World Conference, completely changed my image of the country. 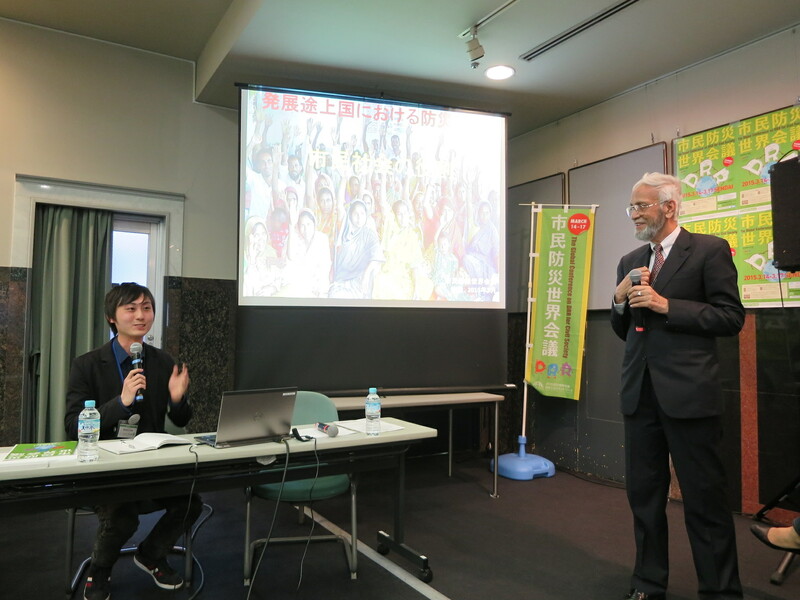 I had the greatest honour of being his interpreter during his presentation at the Global Conference on DRR for Civil Society, and had many chances to talk to him about disasters, both in his country and the world. しかし、このバングラデシュに対するネガティブなイメージは今回の防災会議でサイドゥルさんとの出会いで一瞬にして払拭された。サイドゥルさんはバングラデシュでは災害において第一人者であり、今回の国連防災世界会議にも政府代表団の一人として出席している。なにより、サイドゥルさんの人間性と優しさに惹かれた。私は今回ご縁があり、市民防災世界会議のイベントでサイドゥルさんの通訳をやらせていただくことになった。サイドゥルさんとの打ち合わせ、または発表後のおしゃべりで、バングラデシュと世界の災害について、それから色々な話をすることができた。 He started the presentation with some interesting statistics. When the United States (in Florida) and Bangladesh experienced cyclones of similar intensity, the numbers of casualties of the two cases were extremely different. Bangladesh suffered about 140,000 deaths whereas Florida suffered only 13 deaths. What causes this gaping disparity? What is the real cause of disasters? What made this whole conference different from the previous frameworks, or in fact any other international frameworks, is the heavy involvement of civil society this time round. Perhaps contrary to the conventional realist and neo-realist theories of international relations, I believe that the paradigm is shifting towards a world with “common but differentiated responsibilities”, not just among countries, but among the people regardless of their nationalities. 今回の防災会議と前回の会議との一番の違いは、市民社会の参画だった。いや、防災会議に限らず、市民社会の役割を取り入れた国際的な枠組みでは今回で初めてなのではないかと思う。これまでの国際関係論から脱却し、国家中心の世界から、「共通だが差異のある責任」を持つ国と国民の世界に変わっていくだろう。 This time, we had many guests from around the world, including Lalumbe Makuya from South Africa and Rahmadani from Aceh, Indonesia etc. All of them spoke about their experiences during and after the disasters they faced. In South Africa, because of the huge discrepancy in economic and social terms within the country, the government does not invest money in DRR. This is precisely why international NGOs and the local people have to cooperate and deal with it by themselves. This applies not just to DRR, but many other aspects like poverty alleviation because of political issues, such as corruption. 3. 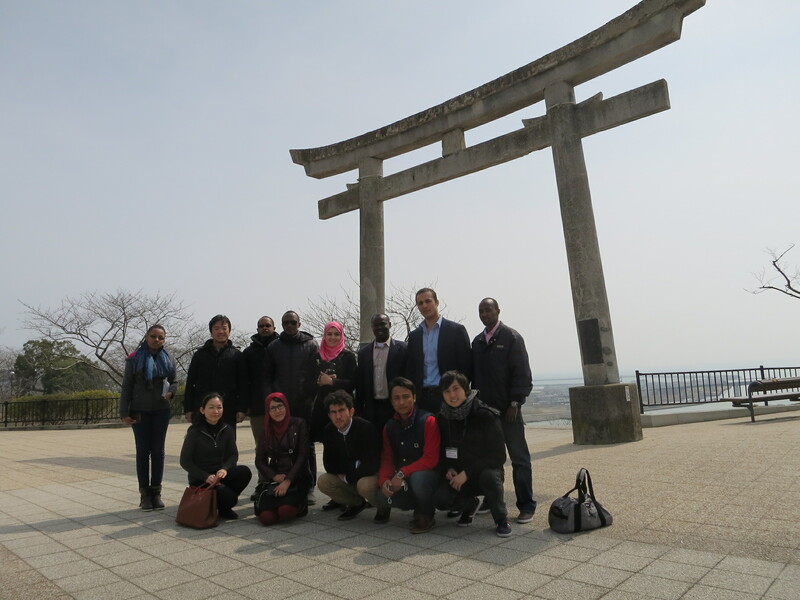 The Future is Bright（未来は明るい） On the last day of the World Conference for Disaster Risk Reduction, I took on an interpreter role for international postgraduate students on a tour in Ishinomaki, one of the worst hit costal regions during 311. The students were from Afghanistan, Rwanda, Cote d’Ivoire and Kenya. We used a pretty advanced application as we toured around the city, learning about what happened before, during, after the disaster, and what is going on now and what beholds in the future. One of the post graduate students from Cote d’Ivoire was scrutinizing the application all the while. 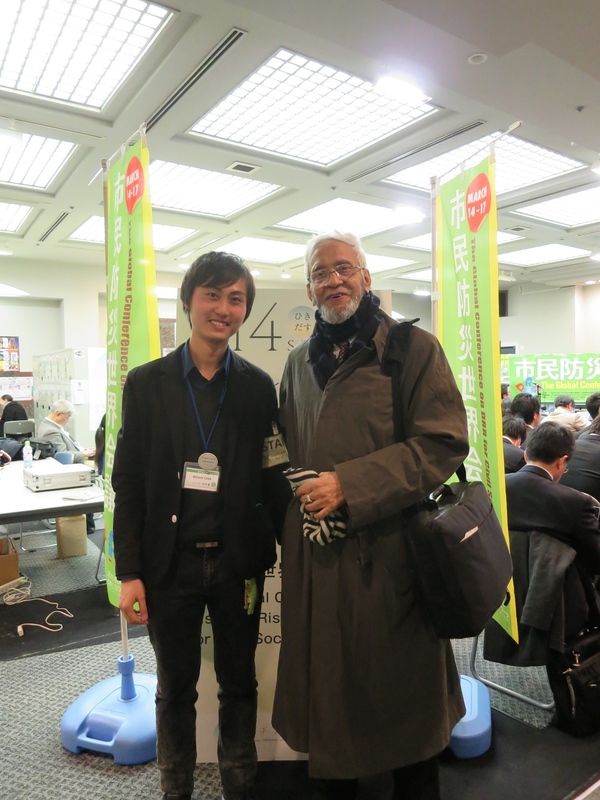 When I asked him what he was looking at later, he told me that he wanted to create a similar application in his country. Cote d’Ivoire historically does not have natural disasters. However due to climate change, it started to experience irregular climate patterns leading to disasters in the past 10 years. 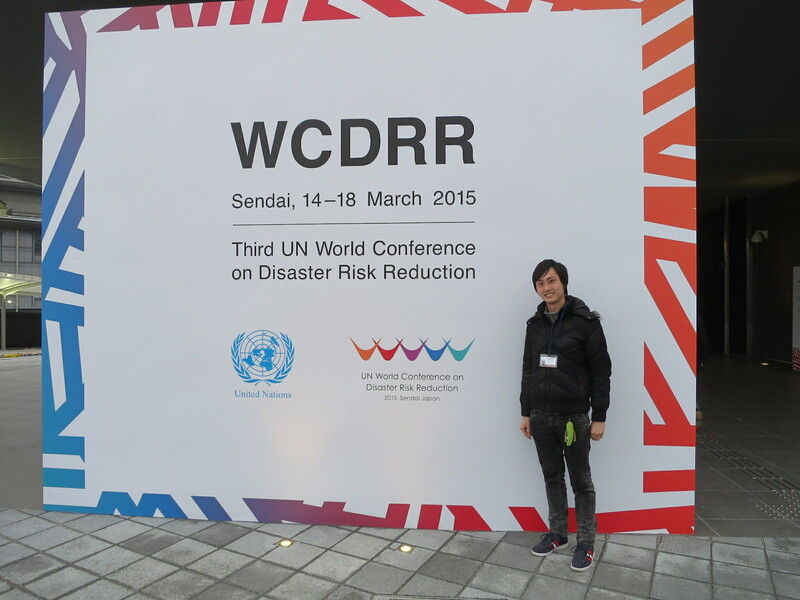 Since it never experienced such disasters, they never had any hazard maps, so he thought of using the technology he found in Japan and applying it in his country. コートジボワールの大学院生の一人がずっとアプリを分析するかのように見ていた。後々聞いてみたら、こんな素晴らしいアプリを自国でも作りたいとのことだった。コートジボワールはもともと自然災害があまりない国だったが、近年の気候変動によってここ10年自然災害に遭うようになった。もともと災害の国だからハザードマップやリスク管理などは整っていないので、日本で出会ったこの技術を活かして自国の災害管理に貢献したいとか。 And finally, on a personal level, I met people from all 6 continents (excluding Antartica) in the world over this past week. I was especially enthralled to meet people from regions whom I have little contact with in my daily life, such as African countries like Rwanda, Cote d’Ivoire, Kenya and South Africa to Central Asian countries like Afghanistan and Nepal, to South/ Central American countries like Ecuador, Chile, Colombia and Costa Rica. Just like the past 2 or 3 years, I met up with some of my old University friends who are currently working and residing in Singapore. I never cease to be surprised at how many graduates from my faculty (SILS), regardless of nationalities, have moved to Singapore for work. Perhaps it is nothing fascinating, considering how Singapore has developed rapidly over the past decade, and how companies and workers, of all genres and specialties, started to congregate in this tiny island. Just looking at my graduating batch in the faculty, there are at least 10 people currently living in Singapore. It wasn’t merely an annual gathering this time, but a multiple celebration of friends’ wedding, birthday and house-warming. 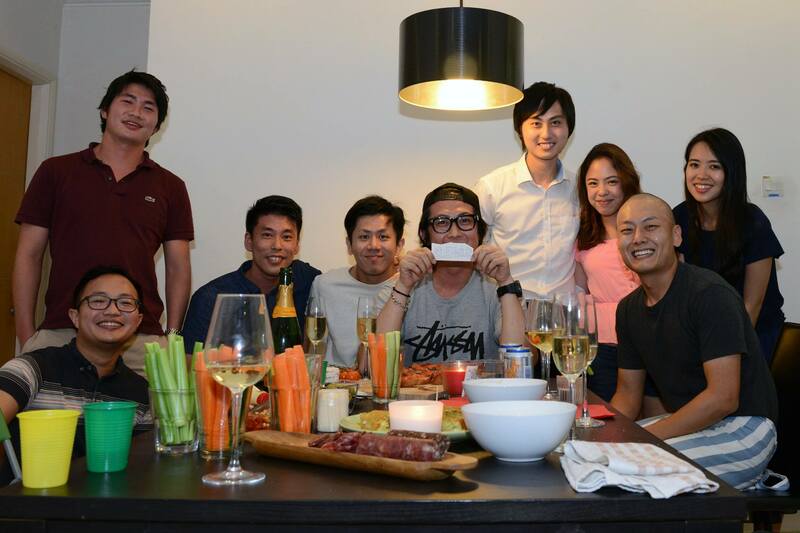 My friends who share a condominium unit, decided to hold a house party. We were told that each guest just had to bring a food item or a bottle of wine, and I did so. 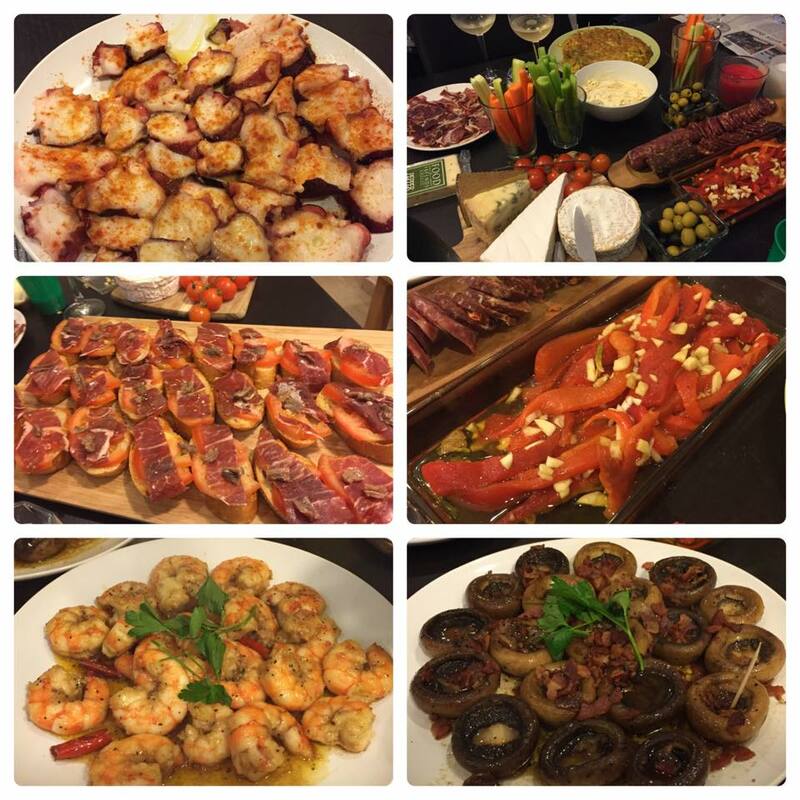 Little did I expect to be treated to an extravagant full course of Spanish home-cooked food, all planned and done by our host Tsubasa. He came up with a list of recipes, scrutinizing to every detail of how each dish should be done, and had actually started preparing since the day before. More than that, there was even a lohei set to celebrate Chinese New Year, and bottles of champagne, red wine, sangria and beer to complete this grandiose house party. The guests were all extremely interesting people, coming from several countries- Japan, Singapore, Hong Kong, Taiwan, France and Malaysia. Our backgrounds were even more diversified. For example, Tsubasa, our host and chef for the night, grew up in Spain, France, England, Japan, USA and now living in Singapore. Most of us have more than just a simple background. Nevertheless, we all had fun drinking and chatting around. And lastly a picture of our party that night. Unfortunately, we don’t have a photo of everyone. Singapore has really changed over the years, in both positive and negative ways, the positive side being how it has attracted such a rich variety of people, allowing us to make friends from all over the world. I’m already looking forward to the next gathering!